Where have the stock market bulls run to? Bulls are a fast-disappearing species on Main Street. Spooked by the big sell-off two weeks ago in high-octane momentum stocks, the percentage of individual investors that say they are bullish is at the lowest level in a year. 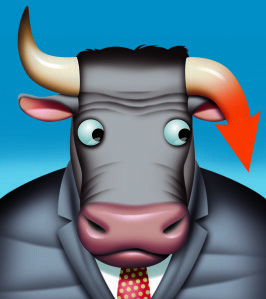 Proving once again that Main Street is still wary of the U.S. stock market after the 2007-09 meltdown, only 27.2% of the members polled by the American Association of Individual Investors said they were “bullish” on the stock market as of last Thursday. That marks the lowest reading since April 18, 2013, when just 26.9% said they were bullish. However, if you are looking for a retirement investment strategy that protects your principal, has some good upside potential, and provides a predictable guaranteed lifetime income stream in retirement, a Fixed Index Annuity may be something to consider. Give us a call at (972) 473-4700 to discuss stock market alternatives. Or for an in-depth look at fixed index annuities, see our free video series, Securing Your Retirement Future.